Fevzi Turkalp, the Gadget Detective, joins Howard Hughes on BBC Radio Berkshire to bring the latest from the world of technology. This week; Google is funding the first automated news project in combination with the Associated Press, aiming to produce 35,000 stories a month, does this signal the end of traditional journalism? Also this week, the revelation that some people working in the NHS are illegally using Whatsapp and Snapchat to share confidential patient information. 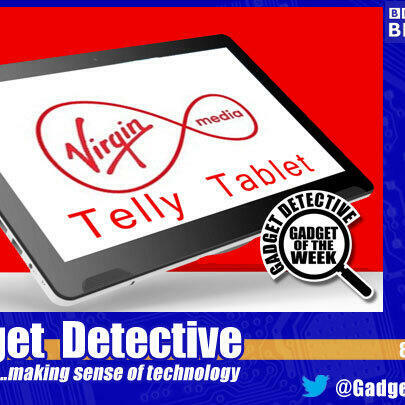 Gadget of the Week is the Virgin Media TellyTablet. With a large 14.1" screen, full HD picture and running Android, this tablet offers everything you'd expect from a tablet but is especially ideal for Virgin TV subscribers. For full details and why it earned an impressive 4 out of 5, listen in!